If you had to come up with a system to formally recognize the work that you do, what would it look like? In a nutshell, that is what a bunch of my colleagues and I were tinkering with at the recent Mozilla Foundation All Hands meeting. 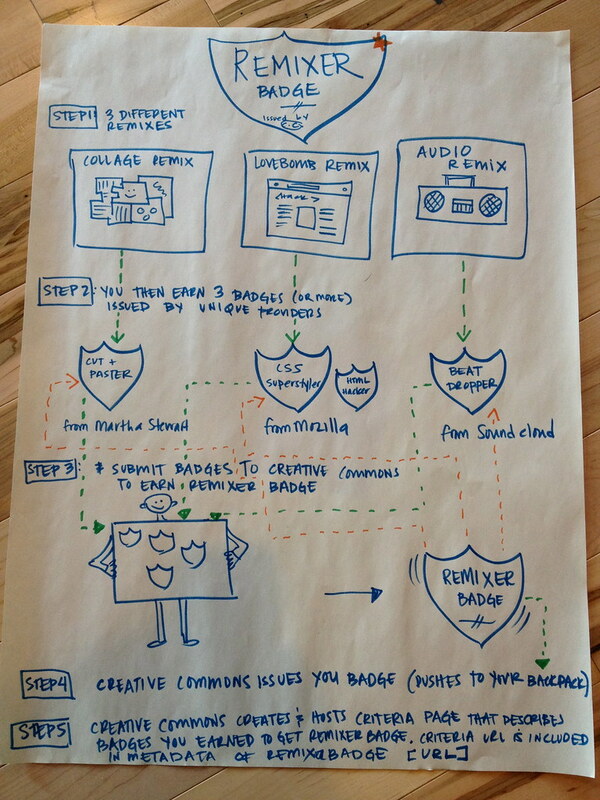 We were exploring this idea because Mozilla is committed to developing the Open Badges Infrastructure- a tool that could act as a platform where you can give and receive "badges" or achievements for various kinds of skills- both hard and soft. 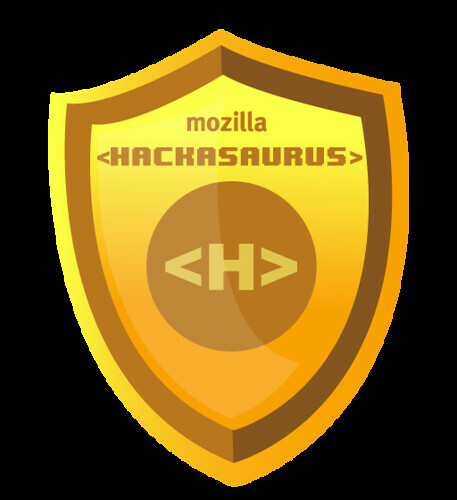 In addition to that, Mozilla is also going to be acting as a badge issuer within this context. Over a year ago, I blogged about how I felt conflicted about badges- stating that they were formalizing something informal and sucking the fun out of everything. My thinking around badges has really started to change. Part of the reason for this is that I actually understand what the goals of the project are and have started to truly be inspired by the huge potential for this kind of rethinking of accreditation systems. Truly, think about yourself as a teenager- or not even- think about yourself as a 30 something, who is stuck at work doing one job, but dreaming of doing another. You can't afford to take off and go to graduate school, so you take classes online, and participate in some online interest specific communities. Over time you have a real skillset, portfolio and community of peers- however- no way of really showing potential employers that you are not just ready for a new job - but qualified and have EXPERIENCE. Enter badges. If you had received a badge for all of your involvement in the various communities- something that a potential employer would recognize and acknowledge, you would be getting that job and rolling up your sleeves! In our prototype (above) we envisioned a system- where one can get a "Mozilla Remixer badge" by getting several lower level badges at different sites where they remixed things- a cut and paster badge from Martha Stewart online- for collaging, a CSS superstyler from Hackasaurus for changing the code on a site, and a beat dropper from SoundCloud for making music mashups. I wrote all the steps out above, but what's fun about this prototype is that the badge itself evokes the spirit of the achievement. You are proving you are a Remixer, by mixing up different orgs who all help you to remix. Yes, that sounded like something Dr. Seuss would say. 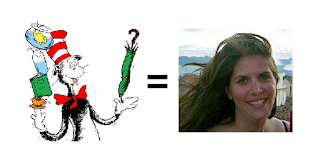 Obviously, there is a lot of thought on this already out there in the world. But, as a designer, I don't really get something until I try to figure it out in connection with a problem. So here, we had a problem and we came up with a prototype to fix it. Anyway, my ideas on this are constantly evolving, but I think that's part of the process of really getting something right- getting a lot of things wrong. Hey, I deserve a badge for that, or do I?